When the Bard wrote those words in the last act of Macbeth, he was describing life itself, but it tends to be quite apt when it comes to movies that put all their attention on technical details and dazzling effects at the expense of story and characters. 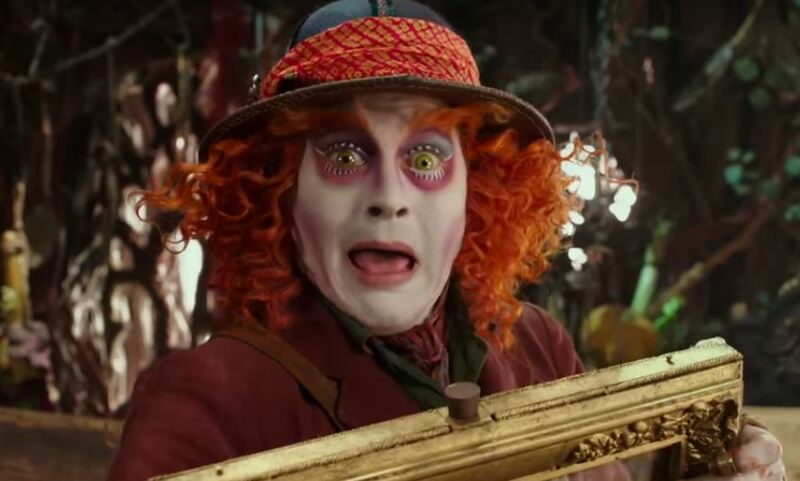 2010’s Alice in Wonderland, directed by Tim Burton, was already very guilty of that descriptor, but its sequel, Alice Through the Looking Glass, is even more visually spectacular and even more devoid of any substance. 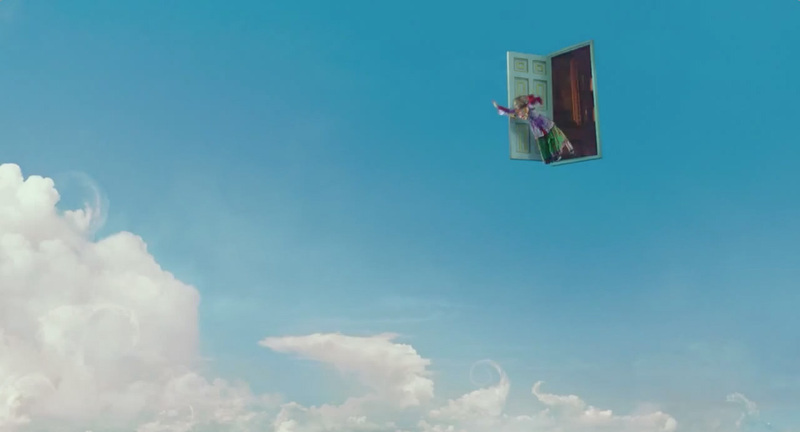 Since Alice’s (Mia Wasikowska) return from Underland in the first movie (which was, despite its misleading title, not a literal adaptation of Lewis Carroll’s Alice’s Adventures in Wonderland but rather a sequel to an adaptation that never existed, similarly to Hook), she has become a ship captain. In the immediately gripping opening sequence, her ingenuity and refusal to accept “the impossible” saves her ship from destruction. Once in port, however, she discovers her jilted ex-fiancé, Hamish (Leo Bill), has childishly taken control of her mother’s house and will only sell it back in exchange for Alice giving up her ship and coming to work for him as a secretary. As Alice storms off to fume about the situation and decide what to do, she discovers a mirror that takes her back to Underland, where she finds all the surviving minor characters of the first movie conveniently waiting. They need her help to save the Mad Hatter (Depp), who’s dying from an unintelligible impossibility of sorts involving his dead family. Because Alice’s journey requires her travelling to the past, she finds herself negotiating with Time (Sacha Baron Cohen), a mechanical man conveniently in love with the macrocephalic Red Queen (Helena Bonham Carter). 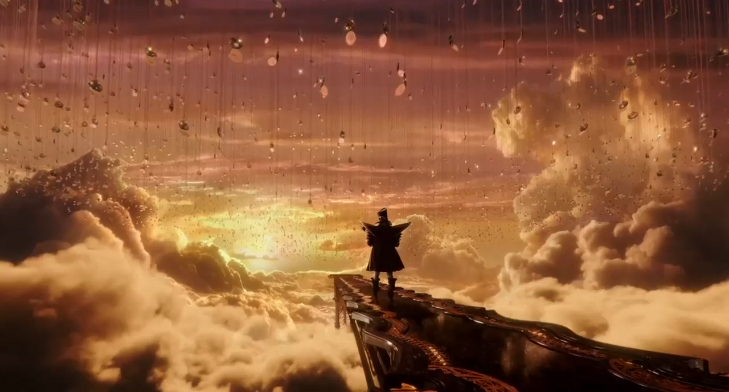 Once Alice absconds with the narrative device that allows her to fly through time, Alice Through the Looking Glass just bounces from random (visually stunning) scene to another, killing time — no pun intended — with mind-numbingly beautiful CGI until, after an aimless 45 minutes or so, it stumbles into a final act almost in spite of itself. The climax works, but solely because it’s the only scene that has anything to do with the bare essence of a story the film established at the start. With Burton exiting after the first movie, director James Bobin (The Muppets, Muppets Most Wanted) steps in, but is unsuited for the task. Bobin’s sensibilities are too PG; as faulty as 2010’s Alice in Wonderland was, at least Burton brought some semblance of an edge to the proceedings. Trying his best to imitate Burton, Bobin succeeds in creating a feast for the eyes, but he also takes the wrong lessons from original’s weak script. There’s no coherence to the meandering picture, with many scenes being interchangeable at no cost to the final picture. If there’s a positive to the story this time, it’s that despite the fact the Mad Hatter is treated as disproportionately important again, he’s at least not shoehorned into every scene this time. 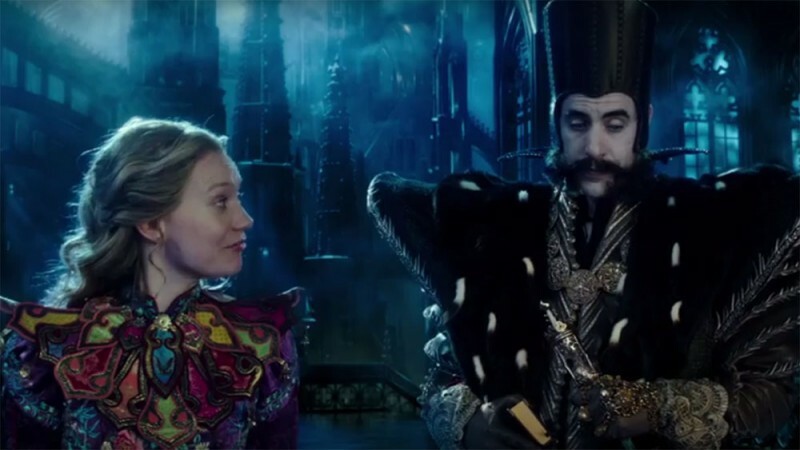 Alice Through the Looking Glass is toothless, a sequel that makes the PG-rated original looking downright threatening. 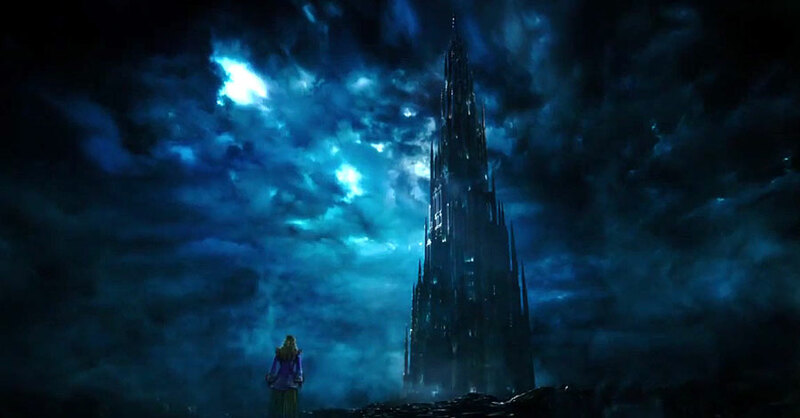 For all its dialogue about being unafraid to stand out, the movie insists on smoothing every rough edge of its universe, going so far as to include several flashback to the Red Queen’s youth, just so you can understand why she became so heartless (because that worked so well in 2000’s How the Grinch Stole Christmas). This is also the final movie Alan Rickman participated in before passing away earlier this year, providing the voice for Amsalem the butterfly. For a acting titan who appeared in so many cinematic greats (even before he joined the biggest series of the last quarter-century), it’s disappointing this is the movie that will forever be his last. Thankfully, his character has the good sense to flutter away shortly after Alice Through the Looking Glass begins, leaving your memory free to mostly forget he even took part. Call it his final Memory Charm.